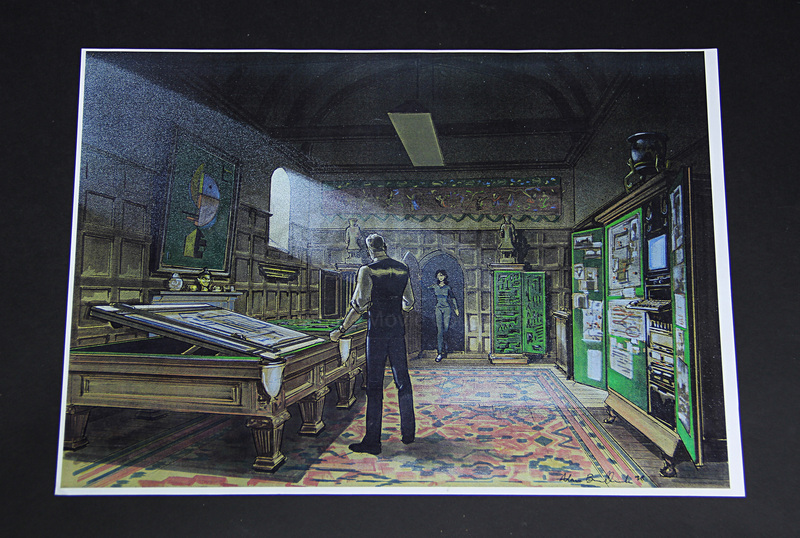 A pair of concept art prints used in the production of the 1999 action drama Entrapment. When insurance investigator ‘Gin’ Baker (Catherine Zeta-Jones) tries to entrap ‘Mac’ MacDougal (Sean Connery) with the prospect of a massive heist, a complicated sequence of double-crosses leaves them both in the crosshairs of the FBI. 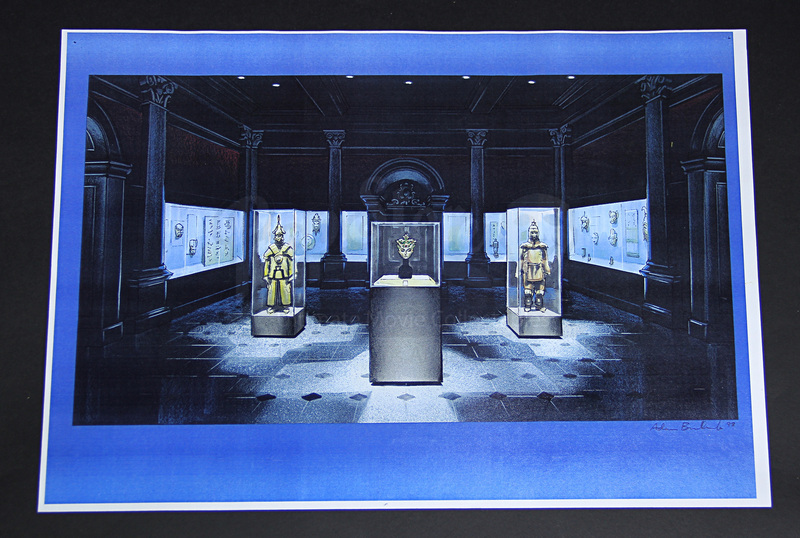 These concept art pieces were used to visualise the locations of the heist at Bedford Palace and Mac’s planning room at his isolated Scottish castle, with Gin and Mac going over the plan for the heist. 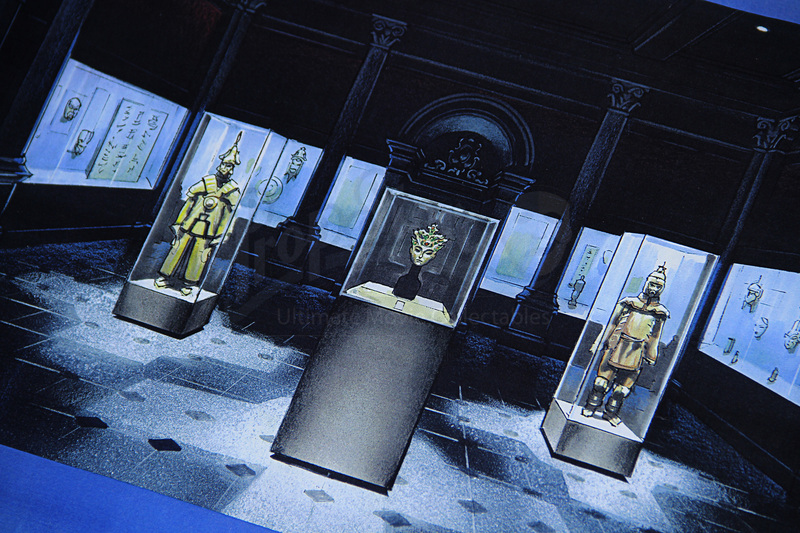 Illustrated by concept artist Adam Brockbank, the pieces are printed in full colour on white satin A3 paper. Both of the pieces have printed signatures from Brockbank and dated 1998. Lightly used on the production, the prints remain in excellent production-used condition.